-Leave Saniderm bandage on overnight. Remove bandage while in shower the following morning. The bandage is VERY sticky. The method below has proven to be the easiest way to remove the bandage. Once in the shower lather the unscented over the bandage as though it just a dirty part of your skin. Still using soap start rolling the bandage from the top down. Eventually the bandage will begin to slide off. 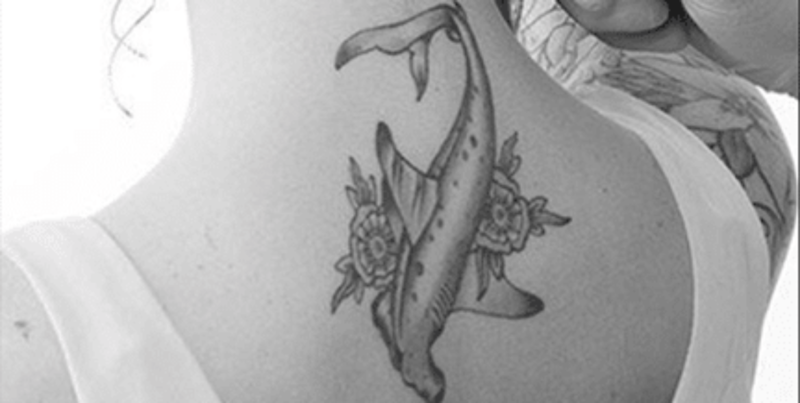 -Using your finger tips and liquid unscented soap, gently wash your tattoo under warm running water. 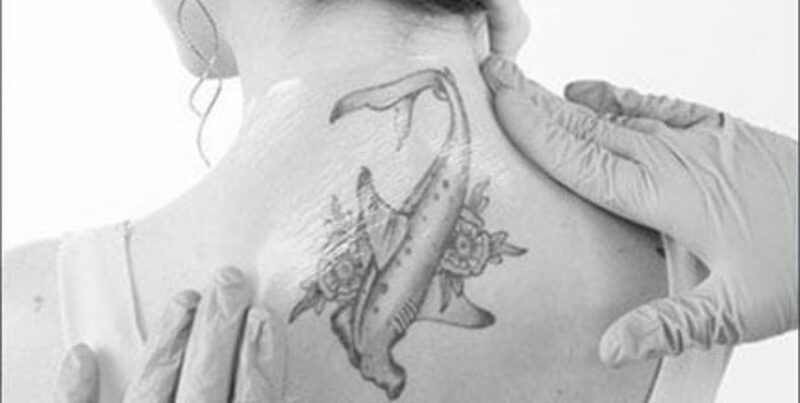 – For larger sessions where shading or color is applied you will need to re-wrap your tattoo with a fresh Saniderm bandage. -For maximum comfort, ensure skin is in a neutral position when applying Saniderm. -When cutting the bandage for application, keep in mind that rounded corners provide the best adhesion. -Saniderm bandages may be overlapped by 1/2 inch (1 cm). -When applying to elbows and knees, the joint should be in a neutral position — neither straight nor completely bent. After 3 days remove the bandage, wash the lymph and excess ink drainage from your new tattoo using soap and water, pat dry and lightly moisturize. 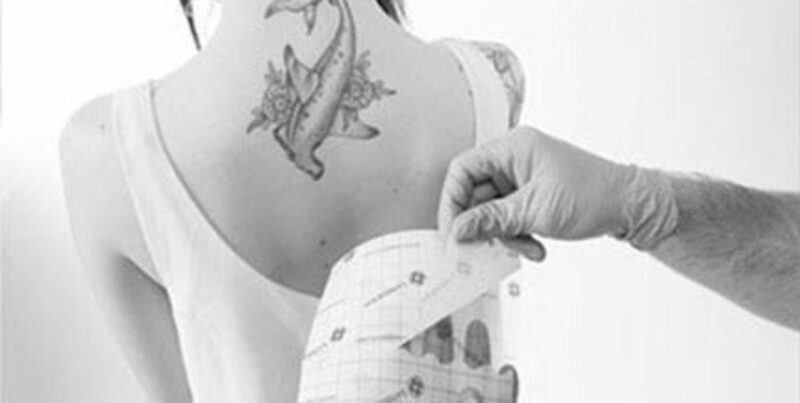 -When very little bleeding will occur, for instance a tattoo with line-work only, you may not need to use another Saniderm bandage. STEP 1 Clean and dry the new tattoo and surrounding skin (lotions or ointments are not necessary). STEP 2 Cut the Saniderm tattoo aftercare bandage to allow at least 1 inch of Saniderm to be in contact with undamaged skin. More extra room is suggested in highly mobile areas. STEP 3 Peel off the paper backing to reveal the adhesive side. STEP 4 Gently apply the bandage using light pressure. For best results, ensure that the skin is in a neutral position. STEP 5 Remove the plastic backing, leaving only Saniderm on the skin. STEP 6 Wear the first bandage for 8-24 hours, depending on how much the tattoo weeps. Remove the first Saniderm bandage, clean and dry the area, and apply a second bandage. Bandages applied after the first can be worn for up to 6 days.